Fun & possibly enlightening for all ages! b.a.l.m. (beauty, art and life movement). Refresh – Explore – Move. 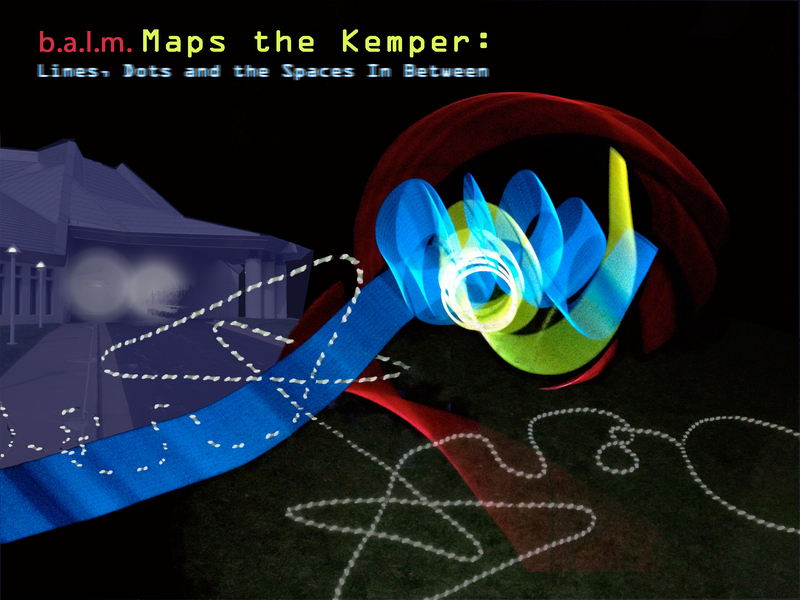 with an engaging experience with light on the lawn of the Kemper. causes the design of the map to be in flux. that in various ways uses multiplecolors of light to map the body. map piece with the moving points. use on the lawn as a drawing tool, creating lines, forms and shapes.